Is it ok to collapse the right hand fingertip joint when playing guitar? Is it ok to collaspe the fingertip joint in the right hand when playing guitar? He had seen one of my videos and saw me do it. For me, and my students, I believe that as long as your fingers are relaxed and moving from the main top knuckle (attached to palm), that is, the fingers are moving inward, toward the palm, it is ok to collapse, especially when playing slower and lighter. I will say, however, that when playing faster and more forcefully I do not collapse. In the videos, because I’m playing slowly and somewhat light I collapse the tip joint since I’m relaxed. It makes no sense for me to force myself or students to not collapse the tip joint while simultaneously telling them to relax and not tense up. I recently had a student who spent the summer trying to not collapse and couldn’t do it at slower speeds, however, she had no problems with her playing. She had someone tell her to not collapse so she tried to avoid it. I suppose if a student was collapsing while I told them to play loud or fast I might object to the collapse as it is a loss of energy due to the reduced power ratio when a joint collapses. Take the analogy of holding a heavy grocery bag with your fingers extended or curled. The curled fingers have a much higher power ratio. However, that does not mean they are relaxed. So I suppose my answer is YES and NO. I recommend you focus most on using a healthy hand position, moving the fingers in toward the palm, and relaxation. Let the tip joint do as it may but realize that there is some power loss there. I think the upper knuckle should be the primary focus but if you want a good power ratio you probably should not collapse. I’m not very picky about the tip joint but very picky about the finger movement. Just remember, there is no question that you do not collapse in the LEFT hand! Don’t every confuse that one! 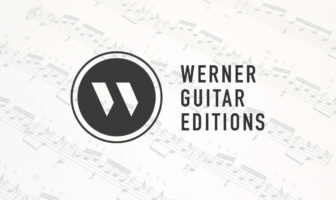 FYI, if you’re looking for a technique book you can check out my review of classical guitar technique and exercise books. You can find more free lessons at the lesson archive page. For more free weekly lessons join the Email Newsletter for updates and please consider donating to the site or sharing this post. What’s your opinion on this, leave comment below. Yes, it is absolutely ok. In fact, it should be encouraged and the ability to relax the tip joint should be developed. Here is an interesting little exercise: Take one hand and squeeze the muscles that control your fingers (most of them are located in front of the elbow on the top and bottom of your arm). Now slowly make a fist-first bend only the base knuckle joint. You’ll feel your flexors, well, flex (and maybe a little bit of flexion in your extensor muscles). Once the knuckle joint is at the end of its range of motion, begin to move the middle joint. You’ll notice the same thing. Finally, completely close your hand into a fist by flexing the tip joint. You’ll notice that both your flexors and your extensors tense up- your hand is preparing for a death grip. So flexing the tip joint actually activates both your flexors and your extensors-if you do this, you’ll essentially be working against yourself. As if that wasn’t enough, flexing the tip joint can lead to pulling the finger towards the palm (rather than pushing it towards the wrist). That’s a recipe for poor tone. Different peoples anatomy works differently- for example my index finger hyper extends the most, with decreasing hyper-extension as I go towards a. Finger joints with less hyper-extension are less obviously relaxed. In my experience, a well-rounded guitarist will be able to use both a firm (but not flexed) tip joint and a relaxed tip joint. It will give them the greatest technical and tonal berth. Not sure I agree with you. Allowing the tip joint to flex (rather than collapse) does not involve tensing of muscles since it comprises a controlled relaxation. It provides greater control over the timing of the release of the string. It acts rather like a car suspension allowing you to smooth out any small inconsistencies in your strokes. It also allows for a sharper snapping release of the string. Phillip Hii is an advocate of allowing the tip joint to flex for these reasons. Great answer to this, Branford. Just to add one more thought to this one (or to simply muse aloud), insisting that the tip joint collapse can be a great fix for players who habitually “bicycle”, or hook the string (pull up on the string). For more advanced players, it can become a deep conversation, because we could go either way at different times. But to correct an ingrained bad habit of using too much tension or bad form, collapsing the tip can be a great exercise. I think this is what the first comment was getting at as well. I like your “yes” and “no” answer but I would add that it is harder to learn to keep the tip joints not flexed than to let them collapse. Only one of my teachers emphasized learning first to keep the tip joints curved so as to get the biggest sound from the instrument and then we can collapse the tip as desired. Also, I think keeping the tips curved builds strength in the hand and forearm, too.